Over many years there has been a lot of questions asked as to why prices vary so much between DJ companies. When our clients are asked post event “How much would you attribute the success of your event to the DJ”, our average score is 90%. 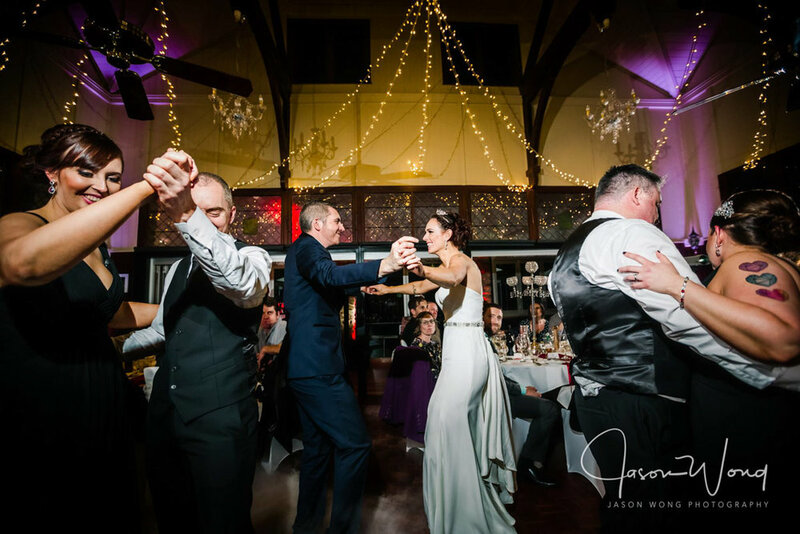 This tells us that clients value the service of a professional and can be the difference between guests looking at their watches finding an excuse to leave, or staying the distance, enjoying the celebration and dancing the night away. The are so many factors to take into account and let me say that after 10,000 in our group over many years, we've seen it all and know what it takes to have the best event ever! 1. What is my low, mid and high budget? 2. Who is the best DJ that provides the best service given my budget? 3. What experience do I want, not only for me but for my guests? There’s and old saying that if you can’t see the difference in the value of the product of service, then the decision to purchase will be purely based on price and price alone! The question we ask a lot of our clients is…“What importance do you place on the entertainment for your event”. In the case of a wedding, most brides unless they’ve been to a wedding and have experienced an exceptional performance, simply don’t know how good their wedding can be and quite often find themselves going for the cheapest quote. That’s all they know. Don’t be fooled by comparing a product to a service. A Hyundai Getz can’t be compared to a BMW…..but they are both cars and will get you from A to B, however provide a completely different driving experience along with reliability, customer care and service. No doubt you’ve done your homework and all your due diligence on the venue, done menu tastings and experienced first hand what quality your venue will deliver at your wedding. 1. who do I engage to look after my wedding? 2. who can provide an experience that will keep guests entertained and not be looking at their watches at early wanting to leave? 3. Do I feel comfortable knowing they can present and speak in front of my guests and or family and friends? Here’s an overview on pricing in our industry and bear in mind it’s not a nightclub scene, it’s a gathering of family and friends you have invited to share the best day of your life. There’s are a lot of nightclub DJ’s coming out of clubs for a number of reasons thinking the money is better with limited knowledge or experience in the wedding industry. 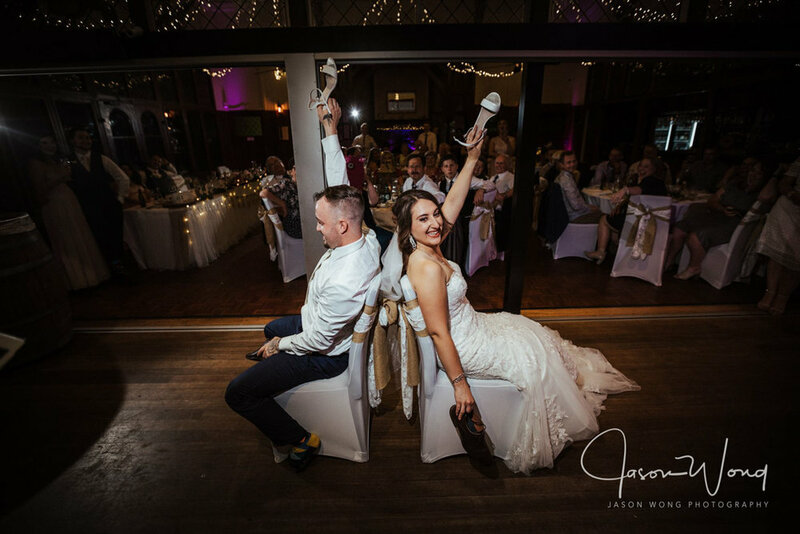 Its not about lights, smoke machines, lasers and bells and whistles…..its about the quality of the experience and guests talking about your wedding for years to come. SO WHY DO PRICES VARY SO MUCH? The pricing overview is based on our personal views, knowledge and experience having managed and directed over 20,000 events across Australia and that of feedback from Brides and Grooms. This is where most newcomers to the wedding market start and at some stage we’ve all charged this when learning. No professional Wedding DJ can afford to work at this rate and it barely covers the equipment hire fee. It’s fair to say that you might find a friend, a family member or someone who’s looking for experience, however beware! This is more than likely a live juke box. · Equipment is consumer quality rather than commercial quality. · They generally don't have a booking agreement and offer no service gauarntees. · They generally have no backup equipment (in case of failure), nor backup DJs (in case of illness). · Music is either limited to their personal collection or illegally copied, which infringes copyright laws. · Planning help will be minimal, your DJ generally works a day job, so access to them is limited, as you are not a priority. · No public liability insurance and No PPCA license to legally play music for a fee. This is generally the booking agent who books DJ’s as a side venture as well as bands and generally lists DJ’s who are struggling to get work. They take around 40-50% of the booking fee and the DJ gets the rest. Agencies business model is book large numbers of jobs at a low rate and keep the DJ’s busy with a low fee. Staff turnover is generally high and it’s a guessing game as to who will actually be performing at your wedding and how they will be attired. There are no uniformed performance and service standards and it's the luck of the draw. Reliability is also a factor…..will they turn up and with what equipment, as the agency generally sub contracts operators with their own equipment. · They generally don’t talk and rarely use a microphone therefore the quality is not great. · They generally have no backup equipment (in case of failure), nor backup DJs (in case of illness) but the agency might have someone and then they won’t have all your timelines selections and planning at hand. · MC skills and coordination with your banquet sales team at your venue and other vendors will be limited, although this may be done by the secretary at the agency. · Music skills and knowledge will be limited. These DJ’s love their music and have a passion for music and getting paid to party. This is where most DJ's price points are at, and you'll get a good DJ who is generally experienced performing at weddings. This DJ you need to ask a lot of questions and site references from recent clients who had a similar style event to you, as it's easy to be mislead. We see it all the time operators over charging and under deliverying. This is Middleton Events standard price and what is expected by our clients as a minimum. · Their production team will liaise with venue management and provide a notification that you’ve engaged them to look after the entertainment for your event. The week of your event, your venue will also receive a bump in notification email, advising the venue of the agreed bump in times and production requirements. This is the average rate to pay if you want the best experience and an event to be talked about. Companies that do events full-time and rely on their good reputation to sustain a thriving business. These DJ’s have been generally working for a 10-year period and are on their way to fine tuning their craft. Very reliable and a great performance that most clients enjoy. This is Middleton Events average price and what is expected by our clients as a minimum. This is the standout DJ that knows how to work the room and dance floor and generates bookings from their events. They provide an experience that is unparalleled and are in high demand. They have been perfecting their craft over many years and are the BMW of the fleet and you receive personalised attention with every detail to your wish. You will see special moments and highlights through your event that will surprise you and keep guests captivated and entertained. They will know what music guests want before the event starts and know how to build the right momentum and atmosphere. · A professionally trained and highly skilled MC and are regarded as Australia's most awarded and respected Entertainment Directors, with a wealth of experience at hundreds of events who are at the top of their game! · What an amazing way to start a great celebration and have the bridal party, bride/s and or groom/s as your MC reads your scripted introductions professionally musically produced, the newlyweds and bridal party can capture the moment with anticipation as the guests get ready for the entry into the room! DJs who are highly sought after, in high demand with a lot of experience who are well established in the industry. 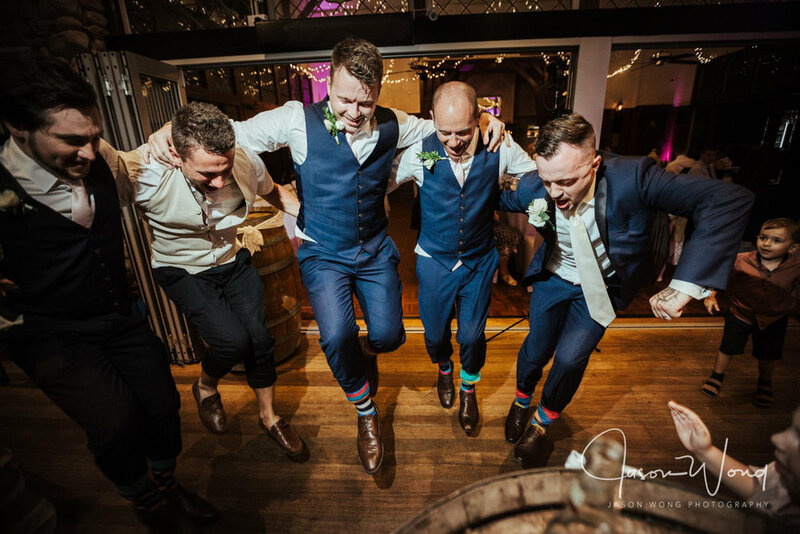 Exceptional DJ and MC and communication skills and will provide the ultimate experience including personalised custom introductions. They'll guide you through the process of creating an amazing wedding day from ceremony to reception including special moments planned to perfection. With an incredible celebration experience of music, lights, magical effects of your choice and world class entertainment and music direction, they have the award winning expertise and experience to create life long memories that will be talked about for years to come. · A professionally trained and highly skilled MC and are regarded as Australia's most awarded and respected Entertainment Directors, with a wealth of experience at hundreds of events who are the very BEST! · They’ll provide an amazing way to start a great celebration and have the bridal party, bride/s and or groom/s as your MC reads your scripted introductions professionally musically produced, the newlyweds and bridal party can capture the moment with anticipation as the guests get ready for the entry into the room! In summary, you pay for what you get, nothings for free and the bitterness of poor quality remains long after the sweet price is forgotten. You get one shot and one opportunity, and the DJ is the critical element at your event. Do your due diligence, check recent references, talk to venues and go with a reliable trusted reputable supplier.